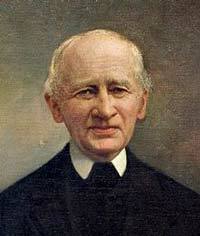 Johann Gottfried Galle was a German astronomer. He was the first person to view planet Neptune and actually know that he was looking at the planet. Galle was born on June 9, 1812, in Papsthaus, just a short distance west of Radis and next to the town of Grafenhainichen. He attended Gymnasium in Wittenburg where he studied at Friedrich-Wilhelms-Universitat Berlin between 1830 and 1833. He later became a teacher at the Gymnasium in Guben where he taught physics and mathematics, but he later transferred to the Gymnasium in Berlin. Galle started working as an assistant to Johann Franz Encke at the Berlin Observatory in 1835. He worked there for the next 16 years. While there, he made use of a Fraunhofer-refractor with a 9 Zoll (22.5 cm) aperture which helped him discover an inner dark ring of Planet Saturn. Between December 1839 and March 1840, Galle had also discovered three new comets. In 1845, Galle was awarded a Doctorate of Philosophy. His doctoral thesis could be described as a reduction and a critical discussion of Ole Romer’s observation of the meridian transits of planets and other stars between October 20 and October 23 of 1706. About the same time as Galle received his Ph.D., he sent a copy of his thesis to Urbain Le Verrier. He did not receive a reply, however, until a year later on September 23, 1946. Le Verrier had been investigating perturbations of the orbit of Uranus. From his studies, he was able to derive the actual position of the then undiscovered planet and he therefore requested Galle to search for it in the corresponding part of the sky. With the help of his assistant, Heinrich Louis, Galle discovered a star of 8th magnitude which was only one degree away from the calculated position. The following couple of days, they were able to measure the proper motion of the celestial object (4 seconds of arc) and it was then determined as a planet. The planet was subsequently named Neptune. In 1851, Galle moved to Breslau (now Wroclaw), where he became the director of a local observatory and later became a professor of Astronomy at Schlesischen Friendrich-Wilhelms-Universitat Breslau. He worked in Breslau for more than 45 years. He was elected as the rector, which is the highest position one can hold in a university, for the academic year 1875/76. At Breslau, Galle still continued to study planetary orbits and even developed a method for calculating the total height of the aurorae and the path of Meteors. He consolidated the data for the 414 comets that were discovered by 1894 into a single piece of work. He was also interested with climatology and the Earth’s magnetic field. Galle published over 200 works in his life time. Galle also made an important contribution in determining the mean distance between the sun and the earth (also known as the astronomical unit, AU). This turned out to be a difficult task, but he was finally able to calculate the measurement to within 10,000 miles. Galle returned to Potsdam in Germany’s Brandenburg in 1897. He died on July 10, 1910, at the age of 98, but not before receiving accolades from the astronomical world on the 50th anniversary in 1896 of his discovery of Neptune. In 1977, Grafenhainichen erected a memorial in Galle’s honor.